News > Business > Could a different approach to budgeting help manage your financial pressures? With staff costs making up around 80% of an average school’s expenditure, resource planning and staff deployment come into sharper focus. One solution that has been supported by academies minister Lord Agnew and some multi-academy trusts is curriculum-based financial planning. There’s a lot to think about when creating your curriculum and planning resources: pupil numbers, number of periods, timetable cycle, contact and non-contact time, staff time and more. So where do you start? This simple question underpins it: What resources do we need to deliver the curriculum and goals we want? This approach requires in-depth review and analysis however it needn’t add to your growing pile of spreadsheets. 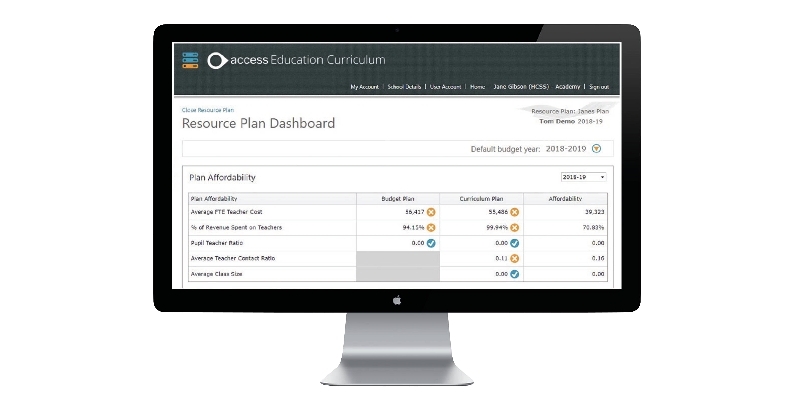 Access Education Curriculum makes strategic resource planning straightforward, reliable and saves you time. Building a viable and sustainable curriculum which meets pupil needs can be a balancing act. We’ve made it easy to create detailed five-year forecasts and built in curriculum and resource considerations, so that you can assess short-term feasibility and long-term affordability. Understanding the impact of curriculum changes or the viability of opportunities can be complicated and long-winded. Now you can quickly and precisely model multiple scenarios to evaluate their impact and make better decisions. Knowing your numbers at any given moment helps you better allocate resource according to real-time needs. That’s why the at-a-glance dashboard is designed to provide easy access to your most useful KPIs. Analysing teacher load and pupil numbers by subject is straightforward too, so you can quickly identify improvements. 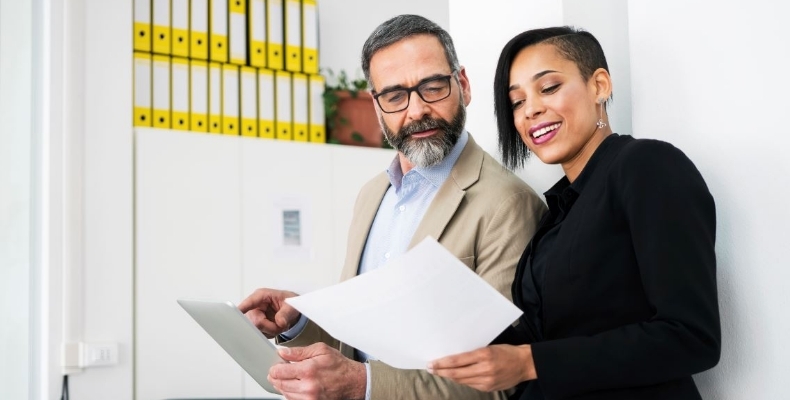 We know that keeping key stakeholders informed and sharing data most valuable to them is crucial – and time-consuming, so we’ve taken the hard work out of compiling data-driven documents by including a range of reports that slice data by staff costs, subjects, budget and more. After more than a decade supporting schools and academies, we have extensive knowledge of the sector, that’s why our suite of education-specific software is explicitly designed for the way you work. Access Education Curriculum is configurable to your specific contact/non-contact codes and timetable cycle. It allows full integration with Access Education Budgets, saving you time and simplifies financial planning and forecasting. Plus, because it’s 100% cloud-based, you and your team can access your data through any device, anytime and anywhere. To discover how Access Education can help you improve the efficiency and effectiveness of financial management in your school or trust, please visit www.theaccessgroup.com/education and book your free online demo.